Last week I completed what can only be described as one of those life-changing experiences, one where you find yourself kissing the sky with gratitude. It was a moment when the world faded away and everything I felt I had given up to get here in NYC to take on my great adventure became, in a blissful moment, utterly worth it. I am a part of Team See Possibilities (www.teamseepossibilities.com). 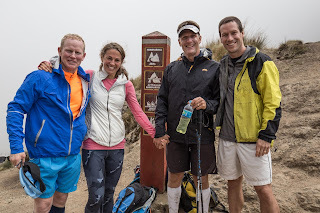 My friends Dan Berlin, Charles Scott, Brad Graff and I formed this team to channel our mutual love of adventure and endurance sports, while hoping to inspire others to change their mindsets. Our message is simple – each one of us can overcome the greatest of obstacles. The key is to change our way of "seeing" what is possible. Our team equation over the last few years is this - we guide Dan to become the first blind athlete to do a major endurance challenge, in an iconic location, and raise awareness and money for a charitable cause. Dan went blind in his 30s, a fate that would drive many people into depression. 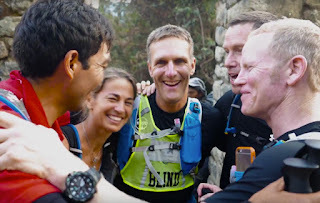 Instead, he decided to treat his blindness as an “inconvenience rather than a disability.” A father of two and a CEO, Dan (previously a casual runner) decided, after going blind, to become a marathoner and take on endurance challenges that would test even the fittest of athletes. Last October, we made history guiding Dan to become the first blind athlete to run across the Grand Canyon and back nonstop (for press coverage, click here http://www.teamseepossibilities.com/grand-canyon.html). This 46 mile challenge over rugged terrain with certain death drop offs took us 28 hours to complete. Dan quickly became a powerful role model for thousands who are now following his journey and absorbing his positive approach to disability. Even Scott Jurek, the most well-known ultra-runner in the world, has dedicated himself to support our efforts. Last week, we returned from Peru were Dan made history once again, completing the trek along the Inca Trail to Machu Picchu nonstop. The trek typically takes 4 days but we were able to complete it in 13 hours. 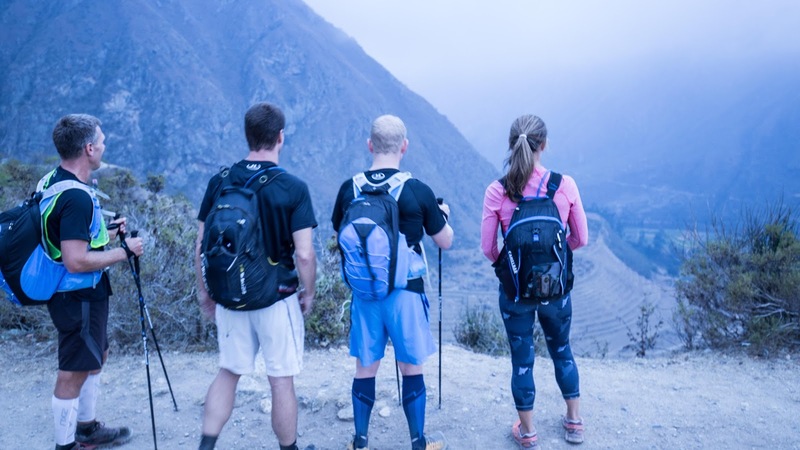 Thanks to our sponsor Intrepid Travel, we had special permission from the Peruvian local authorities, one of whom told us after doing the trek 215 times, "The local authorities think you are crazy. 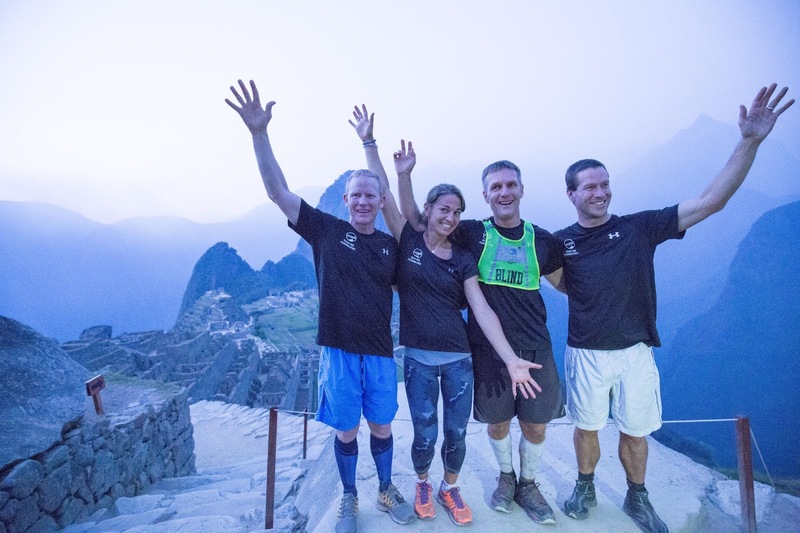 What you are attempting to do is not impossible but extremely challenging, particularly with a blind person.” He also informed us that if we didn't reach the final cut-off point by 4 p.m., we would not be allowed to proceed to Machu Picchu and would have to sleep in a campsite and continue on the following morning. The extreme elevation, the rugged terrain, and the thousands upon thousands of narrow, steep steps made the journey treacherous at times, even for a sighted person. Our goal was to show others what is possible when you focus on what you CAN do, rather than what you can’t do. We arrived at the final checkpoint by 3:58 p.m. (with two minutes to spare!) 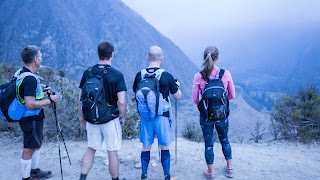 and were thus able to proceed on to Machu Picchu, where we arrived by dusk. The sun was setting over the gorgeous historic site, and we sat in silence for a moment, appreciating a deep sense of accomplishment from guiding the first blind person ever to have completed this feat. We enjoyed the rare privilege of being the only people there (the last of the tourist buses had gone) and soaked up this wonder of the world. 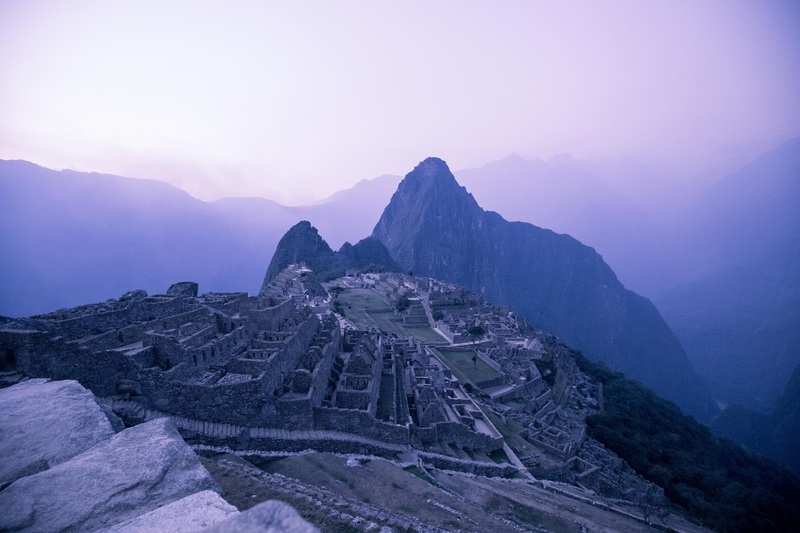 As we took in such beauty, I realized that Dan “saw” Machu Picchu in his own way. He felt it, heard it and sensed it…his lack of vision did not deter him from the deep elation at having reached our goal. Isn’t it amazing how as mothers we sacrifice so much of ourselves for our children, our family and our job? It’s even more amazing when we realize that our children simply want us to be happy. They want a role model. They want to share in our accomplishments and mostly, they want to revel in our joy. Here is the link to a 3-minute video that includes our arrival at the Sun Gate overlooking Machu Picchu. This video is thanks to the absolutely amazing photographer who joined us from Intrepid Travel, Lucy Piper. Lucy us did the entire trek with TWO giant cameras in tow and I promise you she never stopped smiling! Through this challenge, we raised money for the Blind Institute of Technology, which trains companies how to integrate vision-impaired employees into the workplace. 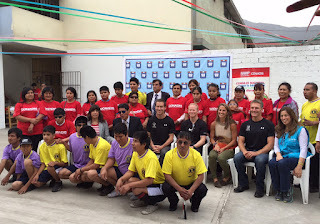 We also worked with UNICEF in Peru and raised money for the Luis Braille School in Comas, an impoverished section of Lima. UNICEF’s dedicated team hosted an event for Dan to speak at the school alongside the Ministry of Vulnerable Populations, the government body working to increase access and inclusion for disabled children in all aspects of life. Dan will be included in UNICEF’s regional report that will highlight access and inclusion for disabled persons throughout South America. At the UNICEF event, Dan won a very prestigious honor from the National Peruvian Sports Institute. I was also able to enjoy my former career working in sports for development at UNICEF. We played a game of soccer with blind children. Note the plastic bags around the soccer ball are not because they can't afford a ball, as was the case in creating the soccer balls in many countries I visited (where children made soccer balls from twine, bags, or old clothes). In this case, the plastic bag is there is the can hear the ball coming and follow it to play! Dan chooses to focus on his abilities, not his disability. With that message, our hope is to highlight Dan’s resilience and positive approach to adversity, and help change all people’s mindsets on what they can and can’t do. Everyone has perceived limitations (lack of time, our job, a fear, anything standing in the way of our goals), and we hope to inspire others by overcoming anything standing in the way of their goals. So take the time, find your cause, dream up your own adventure and don’t let anything stop you. What are you waiting for?